I have fond memories of doing needlepoint with my grandmother in my youth – yes, I think my cool quotient has gone down a few points with that admission – but I really loved sitting down and completely concentrating on one detailed task. The end results weren’t always perfect but I took great joy in knowing that I had made it with my own two hands. However, I never thought that the words contemporary and needlepoint would be used in the same sentence. But I have been proven wrong with the glorious Felicity Hall needlepoint kits. 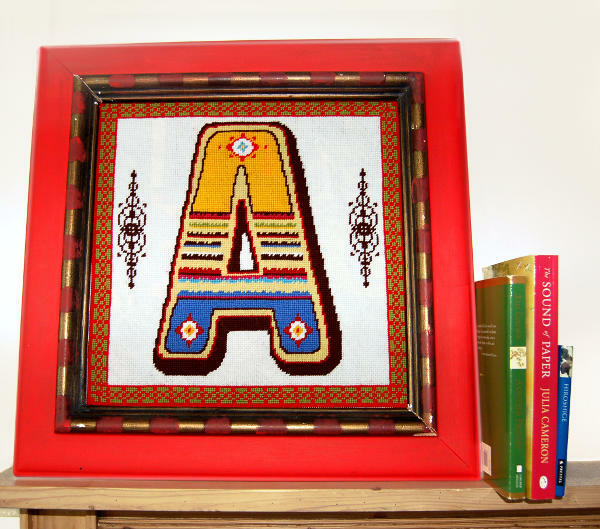 The newest addition to her innovative lineup of kits is the Alphabet Charts and Kits. We featured her entire product range a few months back and these ABCs will be wonderfully suited for a kids bedroom or playroom or as a lovely gift for a new baby. 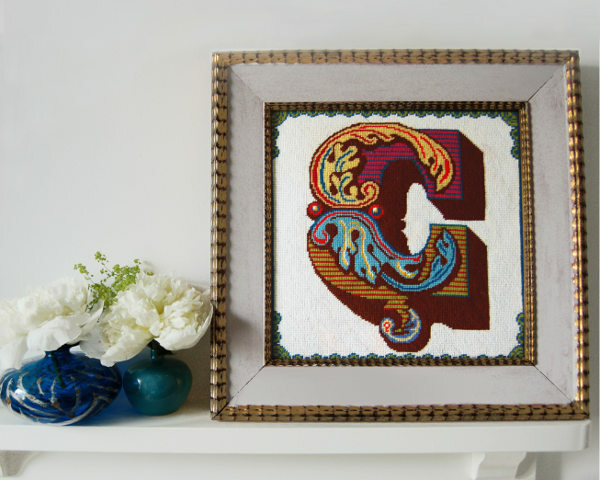 There’s no need to be a proficient stitcher as all her kits are perfect for the needlepoint beginner. 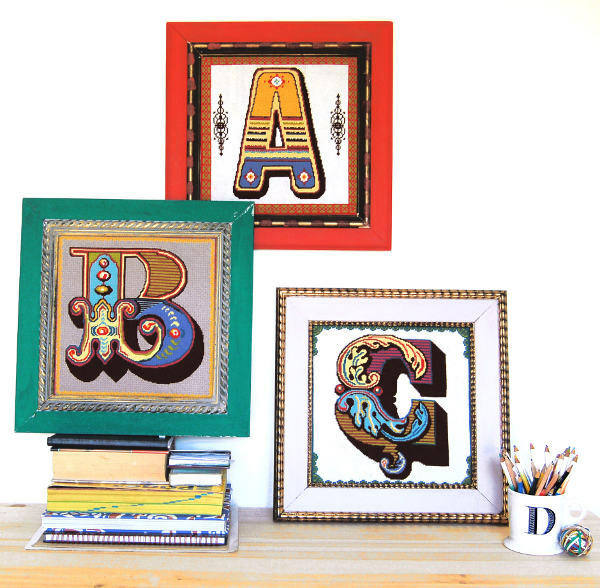 Each letter is bursting with amazing colours and infinite details that will look right at home in any contemporary abode. The Alphabet collection is available as a PDF Chart, priced at £8 plus postage, with the full kit (includes everything you need to create a masterpiece) coming soon.